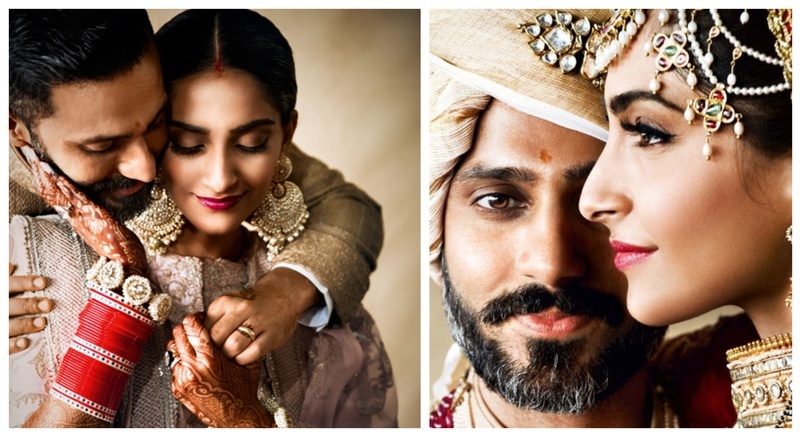 A love story that began on Snapchat to a wedding that literally broke the Internet, Sonam Kapoor Ahuja and Anand S Ahuja have been giving us #CoupleGoals since it’s inception. It was 2 years ago, when the couple had been having conversations on Facebook and Snapchat, which later progressed to late-night phone calls. The charade went on for 2 months, until the couple decided it was time they finally met. The whole point of meeting was to see if their budding romance which began online over two continents could survive the daylight glare of an actual meeting. Sonam chose the location to be London, since Anand lived there and she had a fitting with designers Tamara Ralph and Michael Russo in the city prior to her Cannes appearance. The duo decided to catch up in the afternoon, but excitement and apprehension meant patience was in short supply. So, they met immediately - he in his gym clothes, she in “gross” track-pants and a tee. They spent the entire day walking around London, talking. And exactly two years from that day, they wed in Mumbai. They are a couple who likes each-other’s oddities. She likes fiction, film and dancing, while he likes basketball, sneakers and philosophy. They’re both vegetarians, die-hard homebodies, outdoor-lovers and morning people. She’s now Sonam K Ahuja, he’s now Anand S Ahuja. “He makes clothes—and I wear them! He comes from a business background, so that’s alien to me. I’m the third generation in a film family. So there’s a lot to talk about, a lot to discover about each other, but we have a lot of similarities,” says Sonam. Everyone guessed the Sonam Kapoor’s wedding lehenga would be an Abu Jani Sandeep Khosla or a Sabyasachi design, but as a true fashionista Sonam Kapoor surprised everyone! The bride choose to wear an Anuradha Vakil classic red lehenga, and here’s why - “I’ve known Anuradha for many years. She’s a good friend of my mom. I fell in love with her clothes, so I’d asked her to design for Saawariya—probably the only film she’s ever done or will do. I don’t know anyone who understands Indian garments, textiles and embroidery as she does. I’d always tell her, ‘You are going to make my wedding lehenga. When—and if—I get married, you will.’ And I didn’t forget that,”! Sonam told Vakil she loved lotuses, so the designer translated them into motifs, embroidered in gold and silver thread. Since Anand, who plays basketball, can’t wear rings, New York-based tattoo artist Keith ‘Bang Bang’ McCurdy got him a version of the wedding ring—a tattoo on his ring finger. Anand’s ring finger sports a lotus tattoo by Bang Bang. Every detail of the wedding, she points out, was planned together by the couple. The Jo Malone-scented spaces, the jewellery (collected over the years, inherited, or designed by childhood friend Tarang Arora of Amrapali), the couple’s initials on her Jimmy Choo accessories, their sun signs on the mangalsutra, the foliage-print wallpaper that matched the wedding invite, her Gaia Repossi promise ring where no diamond resembles the other. Image Source - Vogue India unless specified.